Never in my 15+ year career of working on The Mainframe have I been more surprised (and probably pleased) with the nomenclature for my precious platform. I am not talking about the numbering-system (2064, …, 2088, …, 2098,…) but the ‘common denominators’. Going back to the day I had my ‘love-on-first-sight’ experience with The Mainframe (in my defence, it was a hot summer day in 1998) the machine was called an ES/9000 from the System/390 family. I forgot if she was was G4 or a G5 but I do remember she was a 24, 27, 31 and 32 bit machine which took a while to get used to :)T o get to know her inner (and outer) workings was not disturbed when our site upgraded to a sixth generation. Name-wise we were still ok. I could still call my baby an ES/9000 and she was still a System/390.Give or take a few more years and things would drastically change! She now was called a z Series. No longer an ES/9000 but a somewhat different name. A better name. A tougher (if not sexier) name: z900 (yes our site skipped the z800). Up in the heads of IBM naming team however, evil things were being plotted to interfere with my own personal business case of upgrading my own z900 (yes the bike) to a z1000 once IBM announced their new iron. Never would I have imagined they would not ‘count on’ from the z900. 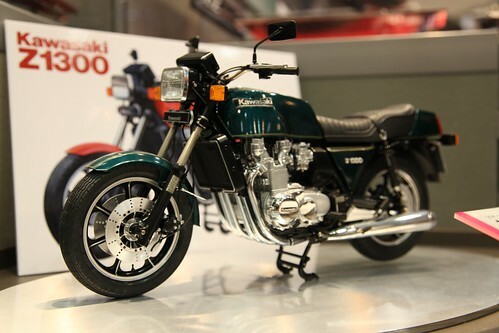 The new machine was not called a z1000 (in my eyes the logical choice as a next-in-line for the z990). But maybe even more ‘heartbreaking’ my baby was given yet another family name. No more zSeries whilst we had just renamed our department ET zSeries (Expert Team zSeries) but her new family name was going to be System z. Going from zSeries to System z was not too hard getting used to, as IBM did this ‘across the board’. I was pleased with these platform family names. System i, System p, System x and System z. Oh the joy I had teasing my fellow peers (from the i, p or x systems) by telling them that once they “moved up” they would reach the ‘last system they would ever need’ and that being the reason it was System z. To add to the joy of this new System z the new name for The Mainframe was a z9. It gave me the opportunity to swap my own z900 over for a z9. Ok formally it was called a ZX-R9 but ‘the people’ still called it a z9. I was pleased and happy once again. And could not wait for a z10. Let it be known when this System z family produced the z10 I did not upgrade my own z9 to a z10 just yet. I would wait patiently for the next upgrade (they would call it a z11 for sure…..) and buy myself a nice and awesome Kawasaki Z11 so my bike would yet again align with my favourite platform’s name. You can now hopefully see the horror I was in when the new machine was announced. No more System z and most troublesome of all it was not going the be the hoped for z11 but zEnterprise z196. Never has it been more frustrating to try and guess the name the next model would be given. It was all around ‘the grapevine’ that IBM would release a ‘smaller model’ for the z196. A cheaper, thus more accessible, model. Going on gut feeling I happily joined the ongoing bets with peers as to what this new name was going to be. A z98 was going 1:2 as it was the most obvious bet. There were also z106’s and plain z’s on the list. I just knew it was not going to be any of these. To much of my relief one could also enter with ‘any name’ (and these would go 1:24 as long as there was only one person betting on it). Looking back at the history of names I thought and pondered for quite some to and finally filed my bet at the local ‘betting office’. “Run it by me one more time”, the person in charge of keeping the bets said. He did not only take the bets, but wanted to know the reasons why. you can imagine he was kinda surprised when I entered my bet : a zEntry. Around 30-ish or so people were present when the betting box was opened and we all had a laugh at the silly names we all picked (zEntry being one of them!). But the laugh as really on all of us when we started to try and make sense of z114. There is not a fraction in the known mathematical universe where 114/196 even remotely makes sense! As of today, The Mainframe is now known under (yet another) different name. A new name. A better name. A name more fitting yet again totally ‘out-of-queue’ with the previous names. Desert naming conventions all you want. But keep this ‘line’ going for some time. It’s a small step to go from System z towards z Systems but it promises so much more! It’s plural and makes me wonder if there is going to be a ‘z Systems BDA‘ (new name for the IDAA, Big Data Appliance) or a ‘z Systems MWH‘ (the Mobile Work Horse of course). The z13 name they gave my baby is just pretty much back in line with my original guesses and it fits with the z9, z10,z11(z114),z12(z196) line of thought…..
You might see me driving around on one of these however, changes are I will wait for the z14….. Previous Previous post: “Zed’s Dead Baby”- The relevance of the mainframe to modern computing and IT trends.